WaveAccess, an international custom software development company, has opened a regional office in Copenhagen to expand its Western European presence. For the Scandinavian market, the company offers a game-changing approach to IT outsourcing with a talented pool of Russian IT professionals to address the problem of understaffing in Denmark. 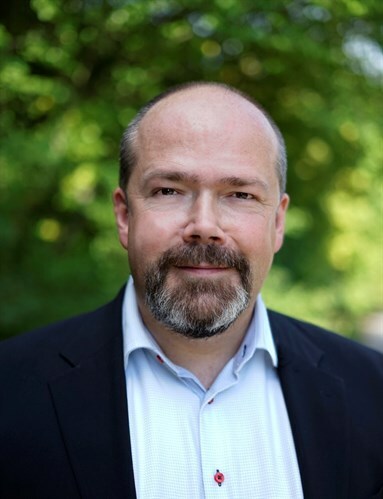 Stefan H. Pedersen is the managing director of WaveAccess Nordics. The Copenhagen office serves to raise WaveAccess’ profile in Western Europe. The Danish branch is focused on custom software development, using its sought-after expertise such as machine learning and AI projects development and implementation, system integration and optimization, CRM systems development and customization, cross-platform application development, and project recovery. WaveAccess Nordics team includes a project manager, a team lead, and a number of developers. The office is led by Stefan Pedersen, who is responsible not only for business development in Denmark, but also for expanding to other Scandinavian markets. With his background of managerial positions at Mapp Digital, Siemens, Software Innovation, Projectplace, APSIS, and other tech companies, Stefan Pedersen has 20 years of experience in the Scandinavian technology market. A seasoned expert in cross-culture communications, digital marketing, and technologies, Stefan is known for his commitment and target-driven attitude. His mission statement as a branch leader is to make WaveAccess Nordics the gold standard of reliability in technology partnerships. “Over 42% of Danish businesses lack skilled IT staff. WaveAccess is here to cover this deficit with top tier Russian IT professionals while sparing the trouble of hiring and training the staff, as well as project performance control. We are committed to building a lasting relationship with the tech community in Denmark”, Stefan Pedersen says. In September 2018, WaveAccess’ founder and CTO Ilya Feigin introduced WaveAccess Nordics to the local business community at the first Russian-Danish conference "New opportunities for future digitalization", held by the Russian Trade Mission in Denmark together with the Russian Center for Science and Culture in Copenhagen. “In the latest research by IMD World Competitiveness Center, Denmark ranks in the top 5 countries that are ready for future digitalization. The market reach of broadband link, mobile phones and computers in this country exceeds the world average by far. Not without reason, Denmark attracts a lot of venture capital. Along with investments grows the demand for software developers. As of the Danish Business Authority report, by 2030 Denmark will have a shortage of 19,000 IT professionals. To get through this bottleneck, businesses outsource software development in different countries, with Russia being among the most popular. In this setting, Russian developers are a valuable resource: they have a quality education in IT and computer science, as well as the ability to learn and adapt well”, Ilya Feigin emphasizes. 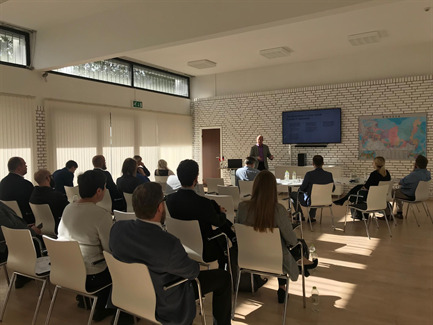 Ilya Feigin also noted that WaveAccess’ approach to project management for Danish businesses is different from that of usual outsourcers and is a version of Agile methodology: “First, we always try to join the project at the stage of an emerging idea. Having a pool of business analysts, we provide our client with a comprehensive market research, studies of existing solutions from competitors, and work together with the client to develop functional requirements — which is crucial not only for winning clients, but for bringing on investors, too. WaveAccess’ senior architects use those requirements to suggest the optimal technologies within the budget and according to the development plan. The essence of our approach is ongoing communication, — and it can’t be overestimated, given that the client is in Denmark, and the development team is based in another country”. Besides Western and Eastern Europe, WaveAccess has been working in the American software development market since 2000, with a headquarters in Las Vegas, NV. Would you like to keep up with WaveAccess latest news? Subscribe to our newsletter: hello@wave-access.com!